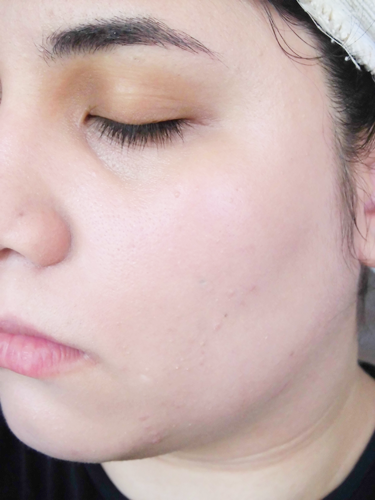 It’s another BB cream review! 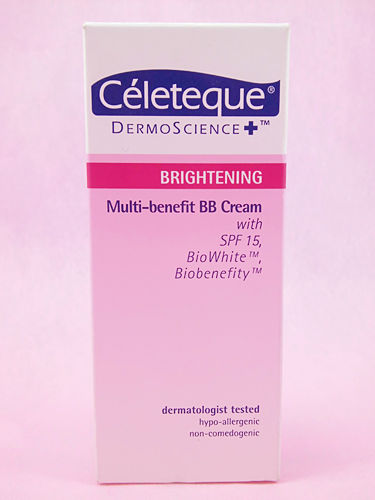 This time it’s from a brand that I actually haven’t tried a whole lot of products from despite its popularity: Celeteque DermoScience. They have a wide range of products, but so far I’ve only tried out their Acne Spot Corrector Gel, Alcohol-free Toner, Eye Tuck plus Dark Circles Lightener, and am currently road testing their Dark Spot Corrector. So when I found out they released their Multi-Benefit BB Cream some time last year, I immediately decided to try it out, especially since it’s under their Brightening line. Who doesn’t want brighter skin after all? 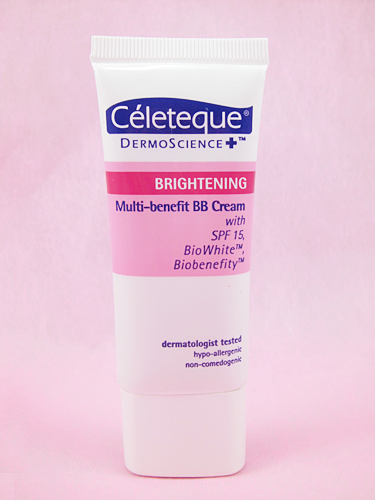 Product description: Celeteque DermoScience BRIGHTENING Multi-benefit BB Cream with SPF15 has the advantages of both a moisturizer and foundation. It improves the skin condition by moisturizing the skin, brightening your complexion, and tightening pores, while providing light coverage to achieve a smooth and flawless look. BioWhite has high concentrations of Alpha Hydroxy Acid (AHA) that stimulates skin cell renewal to help reduce wrinkles and lighten dark spots. Biobenefity helps minimize pores and provides brightening effects. Laricyl immediately minimizes pores to improve skin’s texture and appearance while keeping it moisturized. Silica absorbs excess sebum to provide your skin with a matte finish. Has SPF15 for daily sunscreen protection from UVA/UVB rays which can cause premature skin aging and skin pigmentation. Like all of Celeteque’s products, this product is dermatologist tested, hypo-allergenic, and non-comedogenic so if you have sensitive and/or acne-prone skin, Celeteque is a safe brand to try out and experiment with! The BB cream comes in a handy-sized, travel friendly squeeze tube which has the same pink and white color scheme as the box. Doesn’t it look almost cute and girly for a product that comes from a brand with a ‘clinical’ theme? Dispensing the BB cream is easy and I find I can easily control the amount I want released each time. This also doesn’t ‘leak’ out of the tube like a lot of BB creams I have in similar squeeze tube packagings. There’s only one shade, Beige, which has a yellow undertone to it. It’s more on the light side though so if you have a warm or deep skin tone then you might have trouble working with this. The texture of the BB cream itself is nice because it’s not too thick nor too runny and it spreads in such a way that blending is no trouble. Oh, it’s fragrance-free too for those of you with sensitive noses! 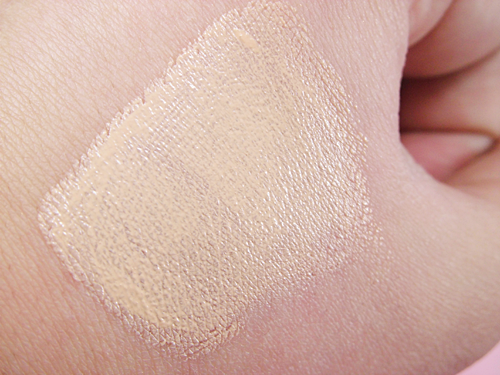 From the face swatches it’s clear that this BB cream only provides light to medium coverage. I wouldn’t even say it’s a solid medium, more like the point between light and medium, if that makes sense. It’s enough to definitely even out and brighten both my complexion and dark circles, my favorite aspects of this product, but not enough to conceal other blemishes like my acne and dark spots. It just minimizes the redness of my acne and lightens the spots. As for my pores, it also minimizes them like the product claims, but only very slightly so I still feel I need to reach for a pore minimizer before using this. You can use foundation on top of this if you want to get completely full coverage because its consistency is still light enough for you to do so, but I recommend foundation that isn’t too heavy already or else you’ll most likely end up with makeup that looks too caked on. The finish is dewy, which I like too, and there’s little to no oil control for me despite its silica ingredient to absorb ‘excess sebum’ so if you’re oily-skinned you’ll definitely need a mattifying primer beforehand at the very least. I don’t think this made me oilier than usual and I had to blot after and every 2-3 hours, but that’s the usual for me anyway. It can very easily emphasize any dry spots or patches on my face though, particularly where there’s acne, so if you have dry or combination skin like me then you’ll need to do some proper or extra moisturizing before using this. 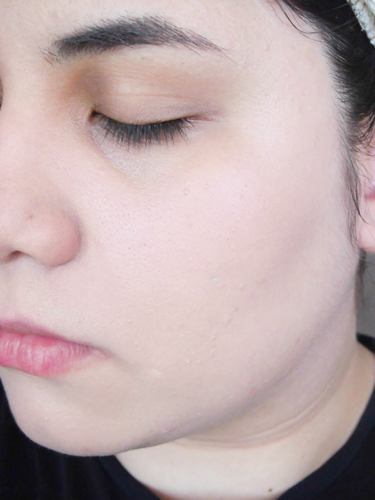 On its own, meaning without a primer or setting spray, the wear time is decent. It starts to fade after a few hours for me. I’d expect it to fade even faster if once again, you have oily skin overall. What I dislike most is how it quickly it sinks into my pores within a couple of hours and so they (my pores) just end up looking like giant craters on my face all over again. But when I make sure to use a primer, pore minimizer, and good setting spray with this then it can last almost all day. By evening, when I start to remove it from my face with a makeup wipe as per usual, I can see on the wipe that there wasn’t as much to remove anymore, meaning it’s faded somewhat, but at least it’s still there more or less. It’s also pretty much still intact on my nose, where makeup always fades the fastest for me, and no sinking activity in my pores at all. I can’t comment on the BioWhite promise of the product to help reduce wrinkles as I don’t have any (yet), but I haven’t also noticed any changes in my dark spots as I don’t see them getting any lighter. Maybe if I keep using this product for longer and more consistently. My overall complexion also isn’t any brighter as the Biobenefity claims it can help with, but obviously it does give a temporary brightening effect when you use the BB cream. It instantly brightens and evens out my complexion. 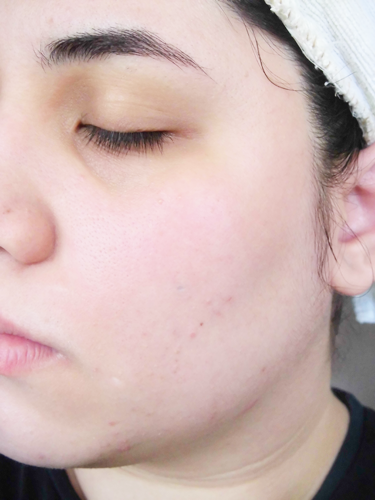 Minimizes acne redness and lightens dark spots a little. It has a dewy finish. 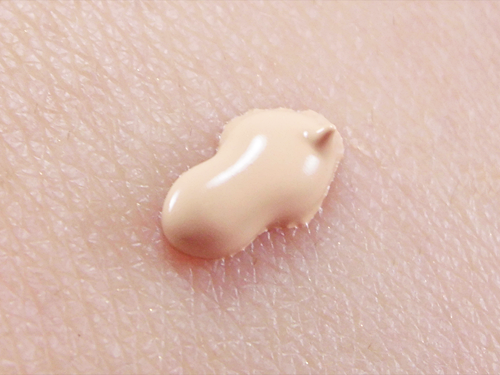 The texture and consistency of the BB cream makes it easy to spread and blend out. It’s light enough to still be used under foundation. 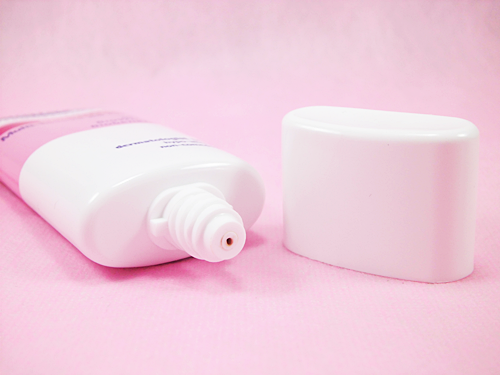 It can emphasize dry spots or patches if you don’t moisturize well before applying. They should have more than one shade available. I wish this had a higher level of SPF, like 25, so that you can confidently skip using sunscreen sometimes if you’re in a hurry. This contains Silicon dioxide or silica. Make sure you’re not allergic to it before using!